POLITICAL Tension is currently looming in the Asuogyaman constituency of the ruling New Patriotic Party (NPP) in the Eastern Region as two camps, led by Paul Ansah Asare and Kofi Osei-Ameyaw, have emerged. 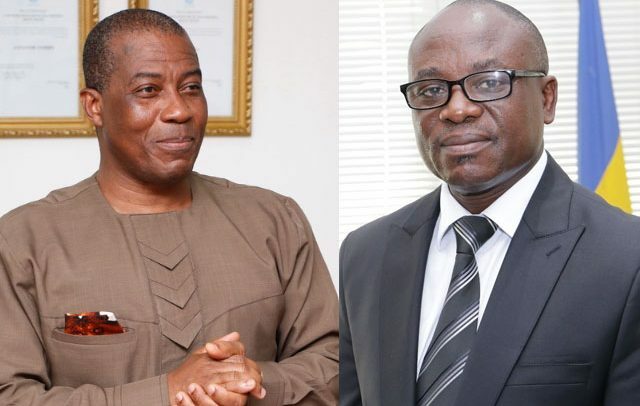 One of them is supposed to contest the parliamentary seat in the area to battle the National Democratic Congress (NDC) in the 2020 general elections. The two prominent persons – Mr. Paul Ansah Asare, former Director-General of Ghana Ports and Harbours Authority and Mr. Osei-Ameyaw, Director-General of the National Lotteries Authority, are campaigning in the area to win the hearts of the party delegates as well as the electorate. Paul Ansah Asare, who has openly declared his intention to contest the parliamentary seat on the ticket of the NPP has assisted most of the constituents in terms of education, health and also given livelihood support for them to gain employment skills. Through other means, Mr. Osei-Ameyaw is also winning the admiration of the people, who seem to be ready to accept him as their ultimate parliamentary leader. Mr. Ansah Asare has declared his intention to unite the party and work assiduously to take the seat from the NDC in 2020. Even before he declared his intention to contest the seat, about 600 out of the 700 delegates of the party from 37 electoral areas in the constituency called on him at his Akwamu-Aboasa residence to pledge their support for and allegiance to him. According to them, he is their preferred choice to lead the NPP to the 2020 elections, adding that his goodwill and charity have made the NPP attractive in the constituency to date. A statement signed by Stephen Gyamfi, acting Executive Secretary of the Foundation, said “the Asuogyaman Constituency is a traditional stronghold of the NDC and Mr. Osei-Ameyaw is the only NPP candidate who has won the seat on two occasions”. According to the group, the NPP has never won a presidential election in the Asuogyaman constituency since 1992 and the NDC has won the Asuogyaman parliamentary seat also on five occasions. Mr. Osei-Ameyaw has contested the Asuogyaman seat on three occasions, winning two and losing one. According to the group even though he did not contest the 2016 parliamentary election, the NDC parliamentary candidate failed to surpass the electoral performance of Mr. Osei-Ameyaw. The group indicated that “Mr. Osei-Ameyaw performed creditably well during his reign as the Member of Parliament for the Asuogyaman constituency, hence we are calling on him through this statement to consider coming back to contest the 2020 parliamentary election in the Asuogyaman constituency on the ticket of the NPP’’.